A few weeks back, I wrote an important article focusing on the four things that the city of Sioux Falls will need if it is going to be a community that fosters new startup businesses that attract outside capital and create high-paying jobs. Since then, I have discussed capital availability, building community, and storytelling as they relate to entrepreneurship in Sioux Falls. Today, I want to discuss how we can do a better job of educating would-be business owners in a way that can set them up for long-term success. Before talking about what the educational needs are for entrepreneurs in Sioux Falls, we must not fool ourselves into thinking that any class we take, any book that we read or any podcast we listen to will actually get us closer to launching a business. When the Bakery was at its peak, they were offering multiple classes per week and I would see some of the same people attend The Bakery’s classes for months on end. They were consuming a ton of educational material, but weren’t taking any real steps to launch their businesses. In effect, they had become professional students studying entrepreneurship. Business education is great, but only in the sense that it gives us information that enables us to take action. The goal is to launch and grow a business, not acquire a professional business education. Mentoring is the foundation of entrepreneurial education. Most entrepreneurs are in over their head. They have an idea for a business, dive into it head first and move forward on very incomplete information. They simply don’t know what they don’t know. There may be gaping holes in their business model they can’t see. They don’t have a clear picture of what it will take for them to be successful and they may be unaware of what resources might be available to help set them up for success. Newer entrepreneurs simply don’t have the perspective or experience to see problem areas or identify next steps for their business. It usually takes the outside perspective of a mentor-entrepreneur that’s been through the ringer a couple of times to identify problem areas, opportunities and next steps in an entrepreneur’s business. Entrepreneurs need mentors that have successfully walked down the path of business to show them what it will really take to be successful. Universities, accelerator programs and other educational offerings certainly have a role in encouraging entrepreneurship, but more often than not, entrepreneurs just need someone to show them next steps and help them identify their blind spots. There is definitely a willingness among executives and business owners to help newer entrepreneurs, but to date there hasn’t been a great way to connect entrepreneurial mentors and mentees. Michael MacFadden has suggested creating some sort of matching program that pairs up seasoned entrepreneurs and business executives with new entrepreneurs. The Zeal Center for Entrepreneurship has recruited a group of successful entrepreneurs to coach and mentor the companies in their accelerator program. These are both good steps, but there is a lot more that can be done to develop mentor-mentee relationships among entrepreneurs. Entrepreneurs in South Dakota have access to very good undergraduate and graduate level business education programs. I have personally had some interaction with the business program at the University of Sioux Falls and was very impressed with the curriculum that I saw. USD’s Beacom School of Business offers undergraduate and graduate business degrees and has a great reputation in the region. Augustana University, SDSU and DSU also offer undergraduate business degrees. Traditional academic programs are great for certain types of people. Students that have just graduated high school and don’t know what they want to be when they grow up will very much benefit from getting an undergraduate business degree. Managers at large employers can leverage an MBA to move forward in their career. Entrepreneurs can benefit from pursuing a graduate level business degree in between businesses. If you just want to start a business, you probably shouldn’t take the time to go get a business degree. It will cost you tens of thousands of dollars and will delay launching your business by as many as four years. Many successful entrepreneurs do not have business degrees. Some don’t even have any form of college degree (Steve Jobs, Bill Gates, etc.). I contend that you would be better off starting your business and learning as you go about any topics you need to learn about, instead of trying to get a general business degree before launching your business. Short-term focused learning programs, including code boot camps and accelerator programs, play a vital role in educating entrepreneurs. They offer a “just what you need” learning approach and focus on teaching the specific skills and knowledge areas that an entrepreneur will need to be successful. While we have had some movement in this area, it is the most underserved aspect of entrepreneurial education in Sioux Falls. The Zeal Center for Entrepreneurship recently re-launched their accelerator program for the first time in two years. This is a positive development, but they only had the financial resources to accept four companies into the program. I am hopeful they will be able to recruit additional accelerator sponsors so they can accept more participants in future years. Code Bootcamp of South Dakota recently cancelled their summer code bootcamp program due to lack of interest, but has had some success offering gaming boot camps to middle-school and high-school students. This is really a shame. 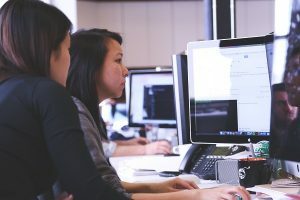 I had one of my employees (Rebecca McKeever) go through Code Bootcamp when I first hired her and the program really gave her a lot of the skills she needed to succeed in her job at MarketBeat. I would love to see more short-term focused learning programs take shape in Sioux Falls that teach entrepreneurs relevant skills and provide coaching to set themselves up for success. I would love to see a startup accelerator program that has two classes per year take shape in Sioux Falls, but we’re a ways off from that yet. I created a discussion group on Facebook called Sioux Falls Area Entrepreneurs. Join the group and have your say in what the city of Sioux Falls needs to better foster entrepreneurship and educate entrepreneurs.